Palia (Ancient) Epidavros is located in the eastern coast of Peloponese. You can easily get there by boat form Athens (about 40 miles from Alimos Marina). It has a small port. 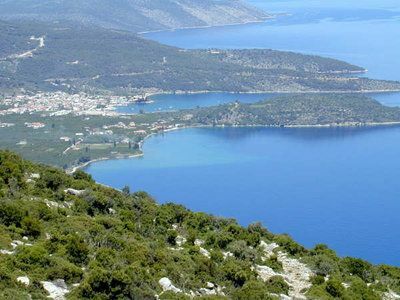 There are 2 beaches near the Palia Epidavros port. They look great because of the nice pine trees that come down almost in the sea and the picturesque scenery. However if you look closer they are not so nice for swimming mainly because the sea is full of greasy stones. 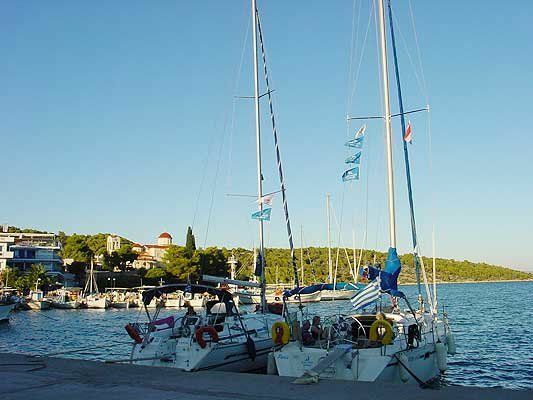 Many boats prefer to anchor there, instead of the ports dock because the scenery of the green forest and the green waters is really nice. Palea Epidavros is a coastline town, whose main attraction is the famous large EPIDAVROS ANCIENT THEATRE and the small ANCIENT THEATRE located nearby. Watching a play in Epidavros Ancient Theatre is a unique experience and a total must for everyone. 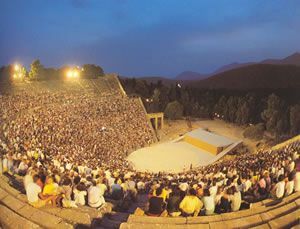 Many Greeks travel to Epidavros in the weekends just to see a play in the Ancient Theatre. The ancient theatre is about 12 klm from the port and you can go there by taxi (that waits for you till the play ends) which is quite expensive. You may also rent a car, but it is not easy to find one at the last minute. 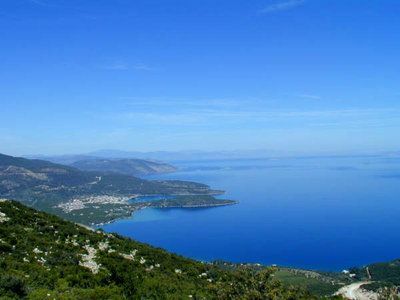 Its nicest beach is called Gialasi, with an extension of just 1 km. To get there it takes just a 10-minutes walk through a downhill (see listing for Gialasi). Another isolated beach full of beautiful pine trees is Kalamaki, which is preferred by boaters (see listing for Kalamaki) The area and the port attracts many yachters, mainly those who want to visit the Ancient Theatres or even attend the ancient plays (ancient comedies and tragedies) that are presented in both theatres every summer (ANCIENT EPIDAVROS FESTIVAL). In times Myceense Epidavros was a big city with 80,000 inhabitants. 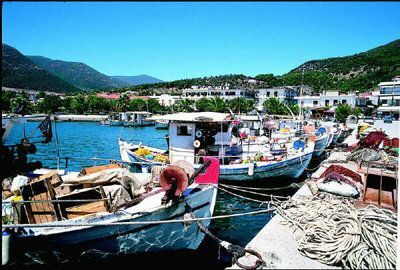 Today it is a small fishing village with about 2.000 inhabitants, mainly living from agriculture and fishing and summer tourism. The village surrounded by orange and olive trees. In the spring the whole area smells of the orange blossoms. 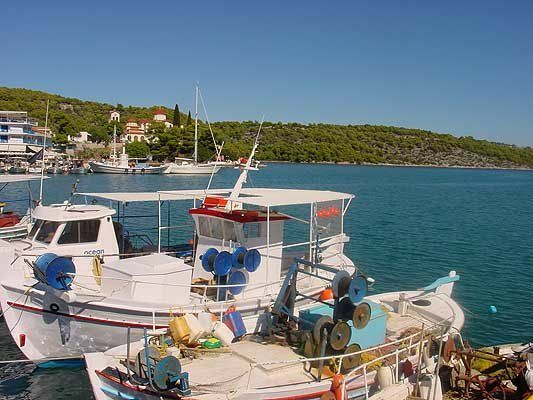 The village has a lively fishing port where one can buy every morning the fish directly from fishermen. 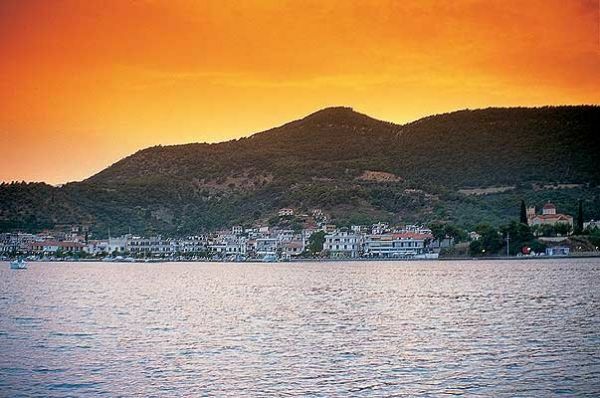 Around the port are many restaurants and taverns where one of the great variety of Greek dishes to enjoy. In the summer, in July every Friday and Saturday a market where local produce can taste and buy.